See the stars shine in MSP’s Ski Movie. See Seth Morrison, Shane McConkey, Vincent Dorion, Jonny Moseley, along with Brad Holmes. Plus, all the biggest names in skiing throwing down in Whistler, Chamonix and Mt. Baker, WA. Includes unbelievably stupid, sick snowmobiling footage and liver-splitting humor. 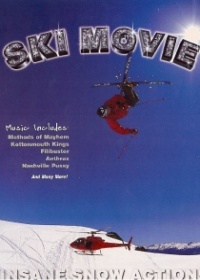 Ski Movie is full of the most insane snow action ever filmed, so watch what the winter of 2000 produced.